On Monday we dodged the rain to make it outside into the Palace gardens as part of our garden history lecture. Wonderful Debbie Trentham – whose knowledge, enthusiasm and sense of humour has made learning about the history of gardens such a treat this term – took us out to show us the Privy Garden. We went to look at this recreation of Henry VIII’s private garden, recently restored to the way it would have looked in 1702 when William and Mary moved into the Palace. All very formal…. and a bit tight arsed for my taste. I suppose that was what turned them on in those days. But see the pointy cone shaped things. Well those are yews. …… those are yews too. 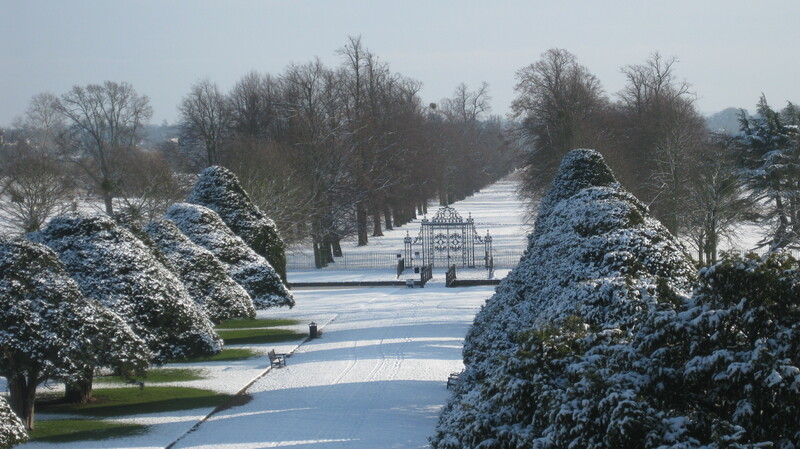 And when they were planted they looked just like those little pointy things we saw in the Privy Garden. Which is an amazing thought. These great yews are so ancient that there is real concern that they won’t last much longer. So then the big question will be what to replace them with. 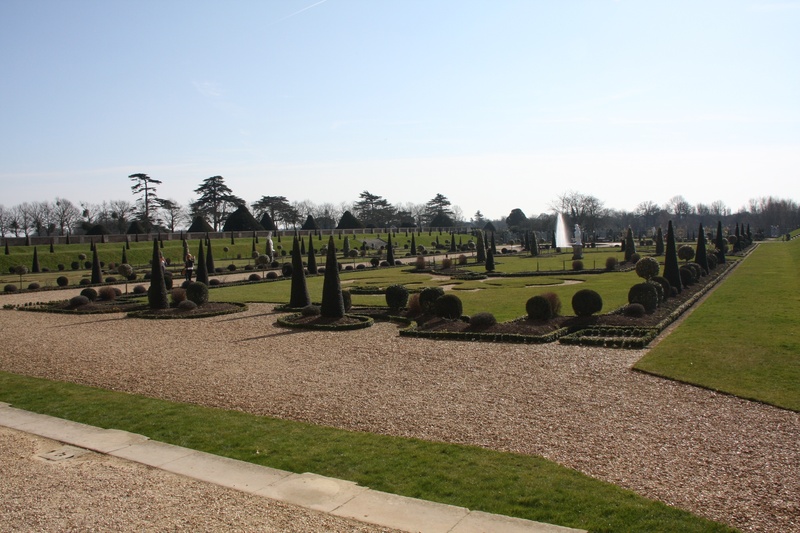 This part of the Palace grounds is known as The Fountain Garden because originally there were thirteen fountains here. Now only one remains. And very beautiful it is too…. But the foundations of the other twelve are still in place. 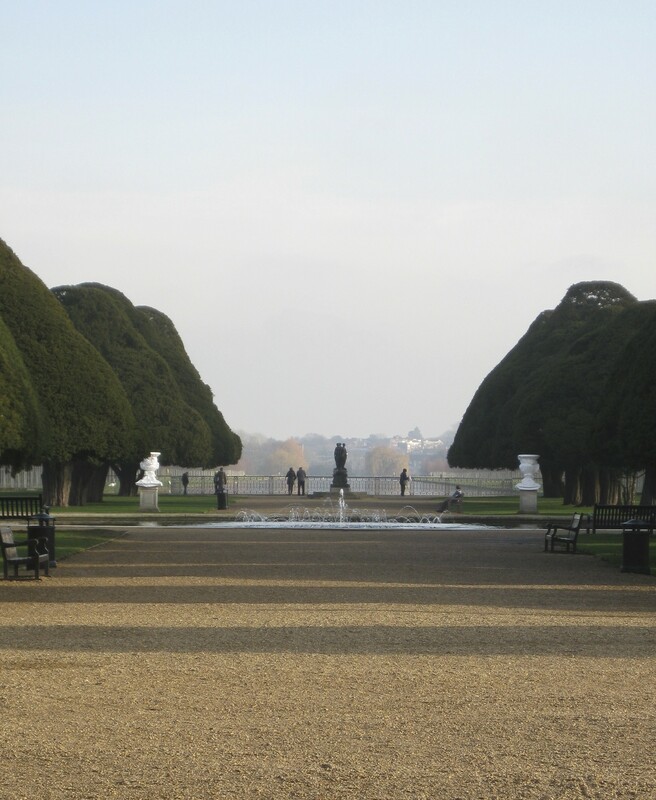 So when the great yews finally fail there is the possibility of recreating the original Fountain Garden in their place. I’m not sure how I feel about this. It’s one of the great thing about gardens – that they don’t stand still. They have a life of their own. They develop and change and move on, even if you don’t want them to. But replacing these stunningly beautiful trees with fountains and formality seems rather tragic to me. It’s the great challenge for the people who are responsible for managing these historic properties. When nobody lives in a building their continuation is dependent upon their relevance as part of our cultural heritage. And the rules change.